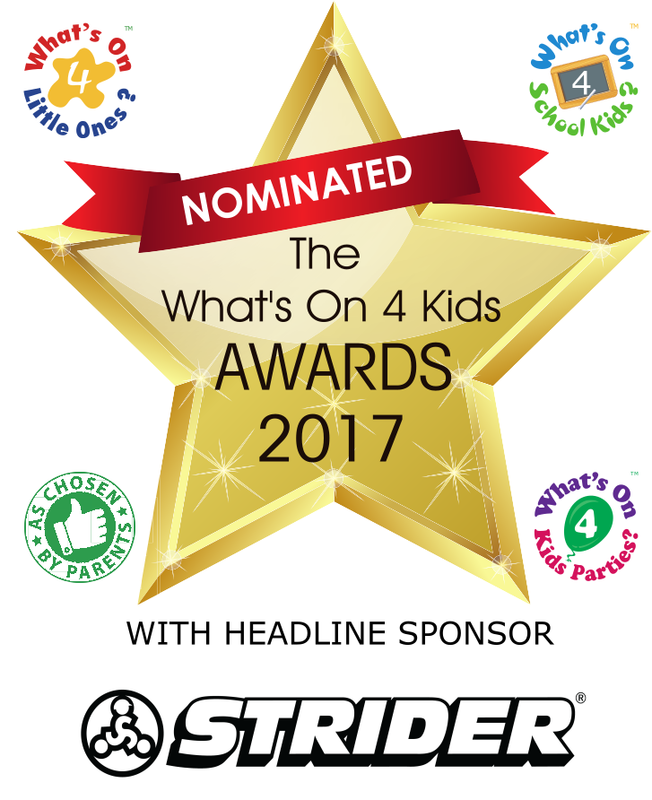 The nominees for the prestigious 'What's On 4 Kids Awards 2017' with Strider Bike have just been announced - and we are hugely excited that Cook Stars is amongst them! These pioneering awards were launched in 2007 to celebrate the UK's best activities, class leaders, party providers, places and activity-based products for children - as nominated and voted for by the experts - parents, carers and parents-to-be. Over the last decade, the 'What's On 4' awards have become established as the industry accolade with hundreds of exceptional businesses and individuals in the flourishing sector keen to be part of the action and be in with a chance to be revealed as a 'What's On 4 Kids' finalist or winner! Now in its 11th year, this National awards programme received a record number of nominations and we are delighted to announce that Cook Stars is a nominee in three categories: Best Franchised/Licenced Children's Party Entertainment, Best Franchised/Licensed Pre-Schooler Activity and Best Franchised/Licensed Activity for Children aged 5 to 12! 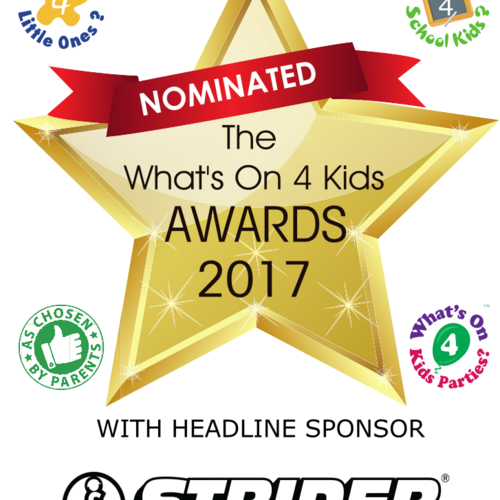 Cathy Harding, Founder and Managing Director of Cook Stars says: "I am delighted that Cook Stars has been nominated in this year's prestigious What's On 4 Kids Awards 2017. It is testament to the hard work and dedication of our growing network of Franchisees that we have been nominated in three different categories and I am very proud of everyone's hard work and dedication to delivering amazing cooking experiences to children across the UK". Parents can vote for their favourites from all of the nominees which have qualified on the What's on 4 Kids Awards 2017 website. Over 100,000 votes are anticipated this year and voting closes on July 3 2017. The winners will be announced at the live awards ceremony and sparkling celebratory reception on October 4 and everyone who votes or nominates will also be in with a chance to win 2 VIP tickets to attend the awards ceremony and reception and meet the winners, finalists, sponsors and VIPs.